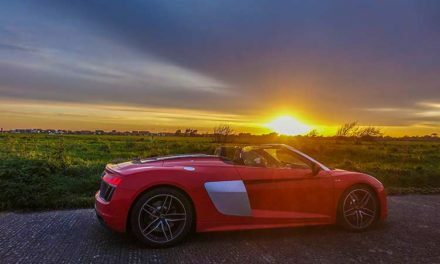 My first reviewing experience was the Audi Q2 in Zurich, and when I got asked to review the R8 Spyder, I read all about the car and felt pressured to become a petrol head all of a sudden. But let me make it very clear, I love fast cars but ladies I am a show pony at heart, not a petrol head. 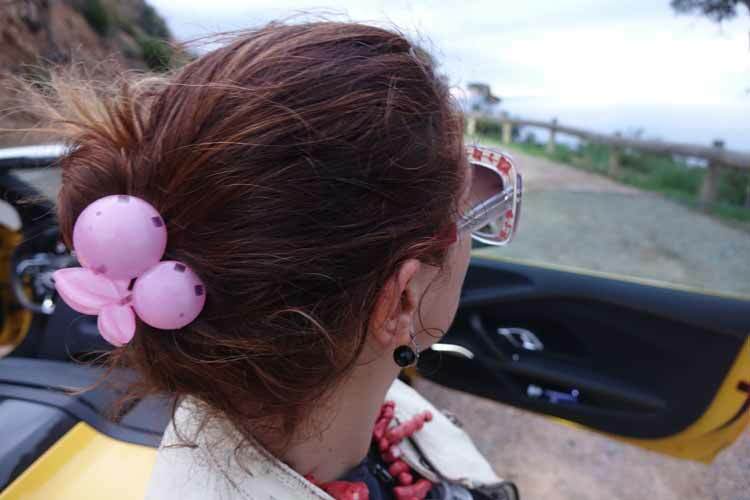 This is why I was up for the challenge, showcasing my take, as the new female fashion model of car couture. My debut was one of the fastest and loudest, catwalks/runways you’ve ever seen. As Audi is German I needed to show Claudia Schiffer, that caution to the wind, on a hair style front, is needed here. Make sure to put the music up loud, let your hair down and go for it. 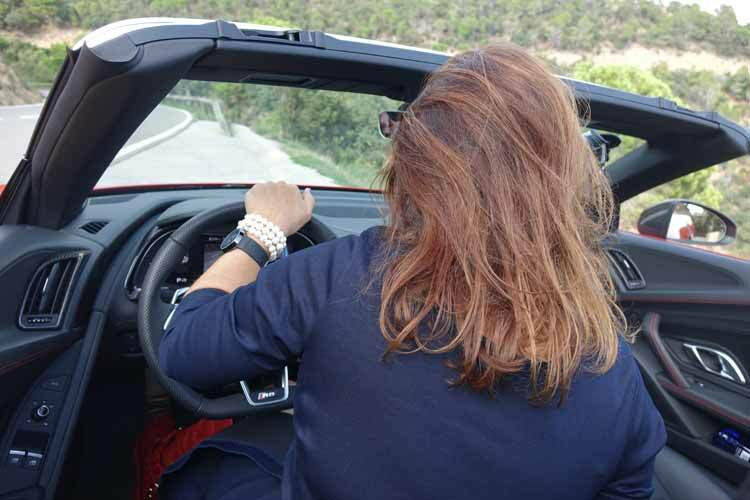 Talk about hair, I would choose to wear a head piece especially with this open-top thrill of a cabriolet. Two days ago I drove the test car which Audi had fitted with £36,505’s worth of optional extras including the £3,500 Sport Pack Plus. It just simply means there are three options you can choose by regarding the exhaust, loud, louder and VERY LOUD. 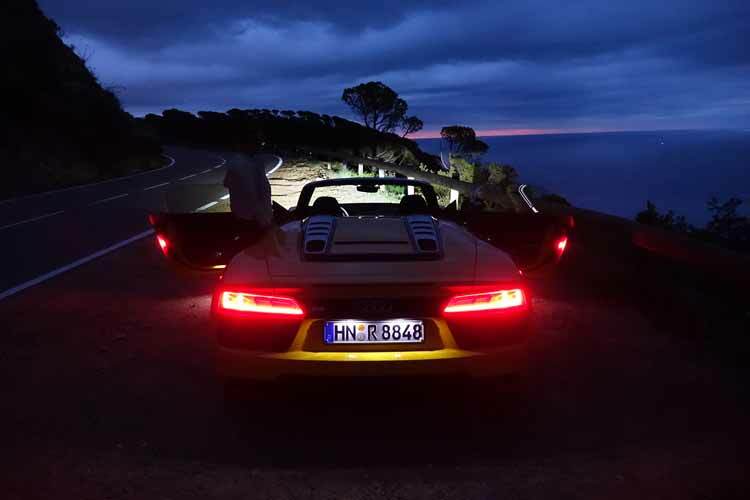 Whilst also reviewing this car for MenStyleFashion and you can read my review here, I decided to take the Audi R8 Spyder at 7am when the Spaniards were fast asleep and the Costa Brava roads were quiet. 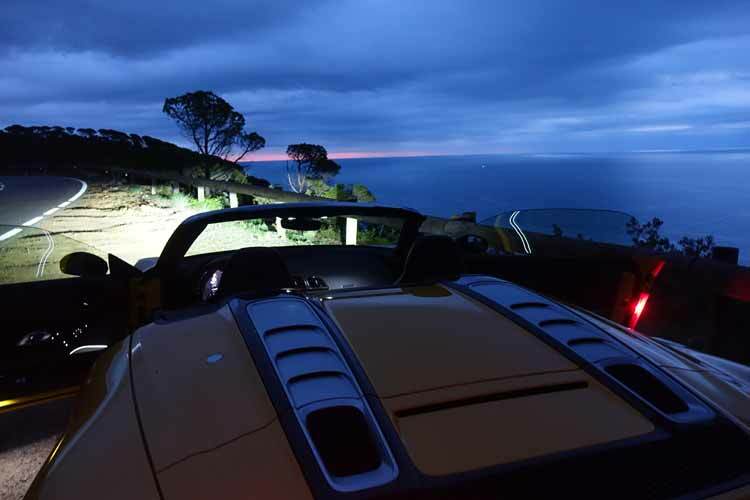 I wanted to experience, this open-top thrill of a cabriolet, along the Costa Brava in Spain in the dark. 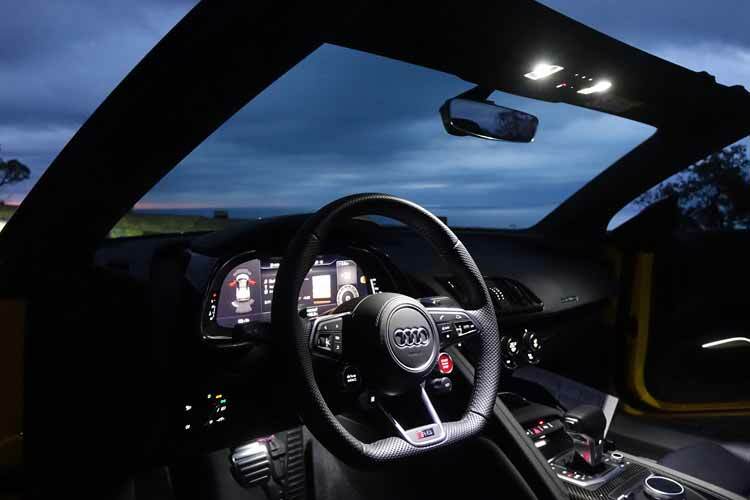 Welcome to, night driving with an epic engine that at top speed, can go at 197mph. There was an option dare I say it, if the wind and noise is all too much, thanks in part to a rear deflector that can be raised and lowered to suit you. 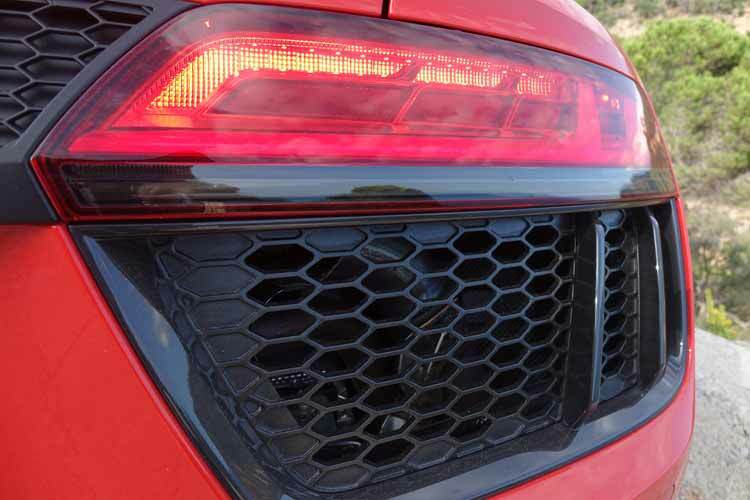 The LED headlights with Audi Laser Light technology, were amazing. 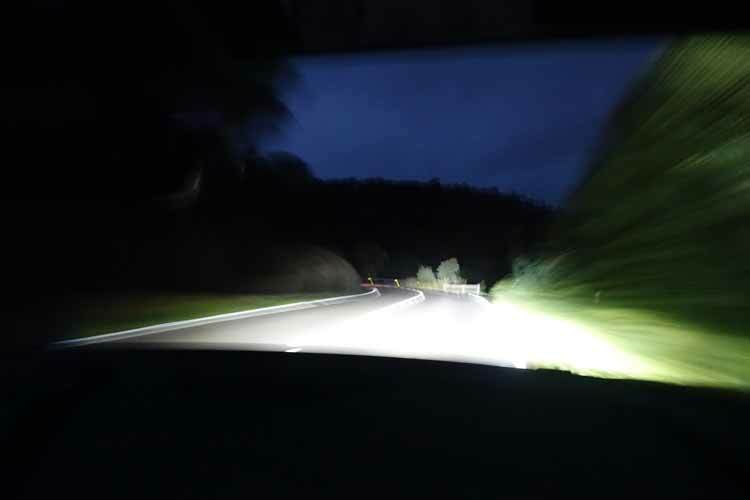 At 37mph, four high-power laser diodes are activated by the high beam, sending out a narrow laser beam of white light that is not only brighter than the conventional LED high beam, but also reaches further filling the driver’s lane with light. This was clear when I was illuminating the darkest corner, and showing me clearly what lied ahead. 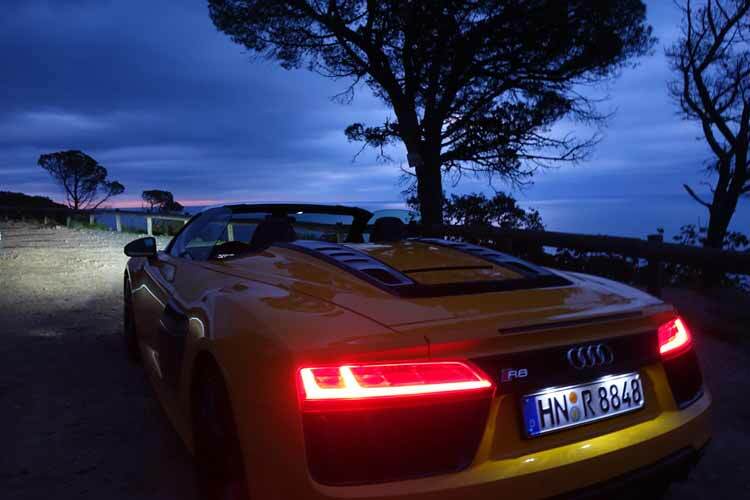 It was a real beautiful way of testing driving the Audi R8 Spyder. Also being the only one of them on the open road, I felt like Black Beauty galloping along the fields of Spain. 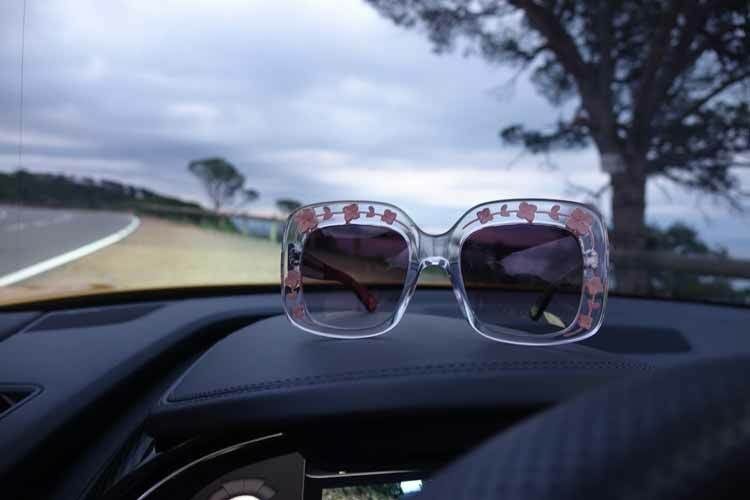 I was given a pair of Serengeti’s special 24 Hours of Le Mans Edition Panarea glasses to review, which were crafted for action. 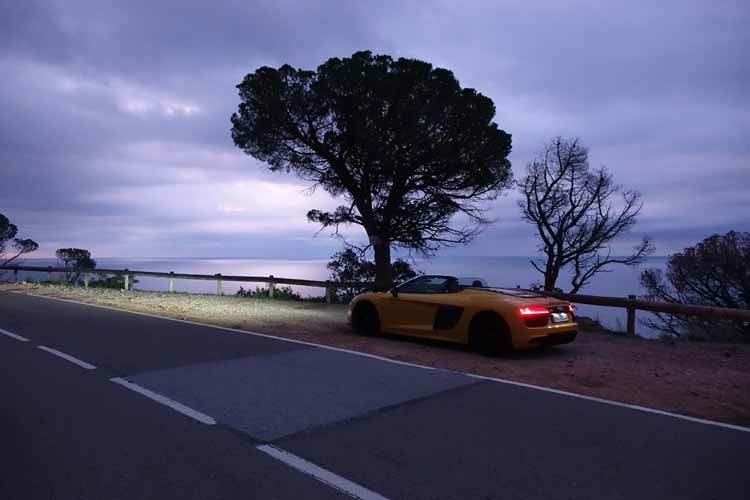 When I was driving the R8 Spyder, the seeing conditions had to be at it’s best, especially along the Costa Brava where the sun can be bright. 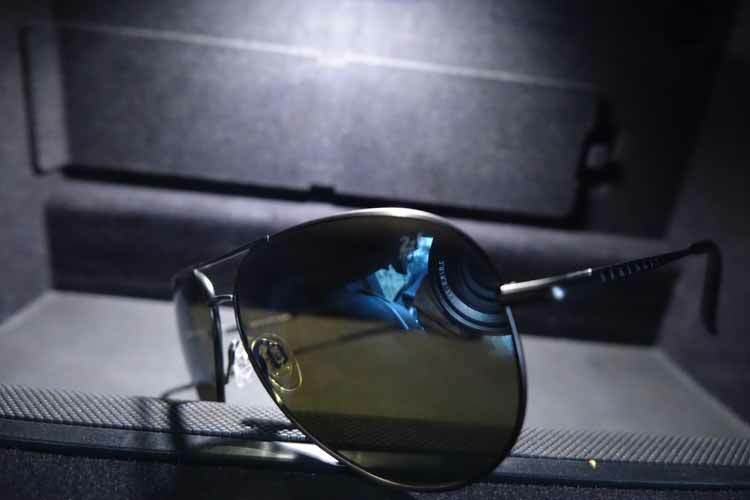 Serengeti, has pioneered photochromic technology, which is engineered into every lens they make. 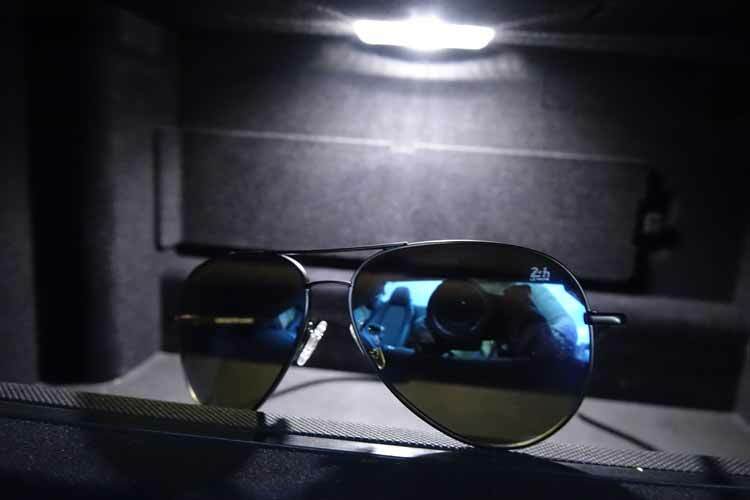 In bright conditions the UV radiation is more intense, the lens molecules expand in size, darkening the lenses and allowing them to absorb more light. In darker conditions when UV radiation is less intense, the molecules shrink and separate, letting additional light pass through. Oliver Jarvis is a British professional racing driver from England currently racing in the FIA World Endurance Championship for Audi. This is why he has chosen to drive wearing Serengeti eyewear. Unlike Oliver, when I am choosing eye-wear, it’s all about a loud fashion statement. Talking about loud, the sound of the R8 Spyder was just adrenaline pumping fun and it gave me a real essence of freedom on the wide open roads. Whilst driving on the Costa Brava, the echoing of the motor from the mountains was just fabulous, my senses went into overdrive. For my early morning night drive, I opted for the Vegas Yellow solid colour R8, and it has to be the most expensive alarm clock to date for me. Some quiet, sleepy villages, certainly would have heard me coming down the road. 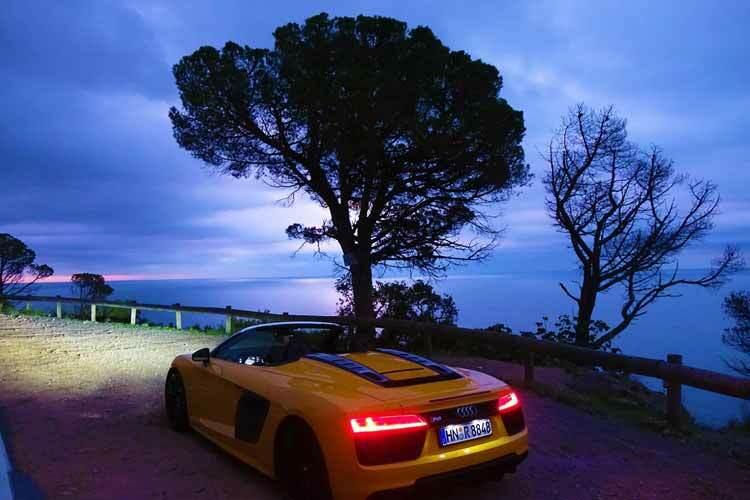 Ladies this is what’s so special about the R8 Spyder, it is the sound of the exhaust. By pressing buttons on the keyfob, the driver can go from “Cruise” mode to “Sports” or “Open”, all differing in loudness. So I decided to test all three options at 7 am. The feeling is like, buying a pair of limited edition eye-wear. Ladies this is a statement car and not to be used for school drop off, unless your a single mum scouting for a new man. For me I would take this car out for my weekend wardrobe shopping and luxury hotel reviews. It’s the perfect loud in your face, look at my set of luxury wheels, car. When I was pulling up on the seafront. I made sure I was in sports mode and flaring my red leather boots. Now getting out was real tricky for me, as I have really short legs. 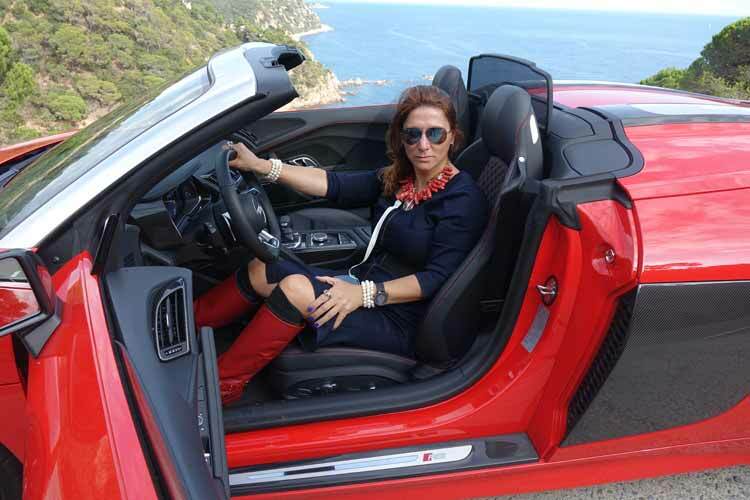 It is very low, so I would opt for some high heel trainers when driving the R8 Spyder. 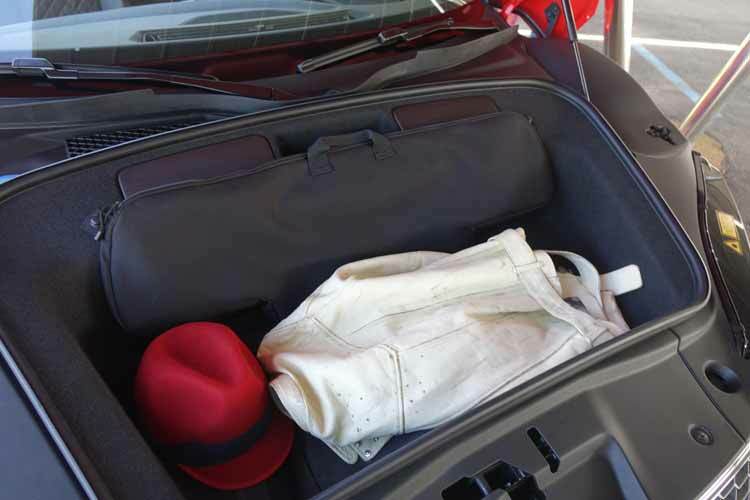 The boot space was just enough for storing some hand luggage only, and maybe a couple of leather jackets. Ladies this is very important, the engine is in the back, and the storage is the front of the car, something I was not use to. Caution, when you have as much expensive makeup as I do, don’t put it in the boot, make sure you store it inside the car. I also liked where you could charge your mobile phone, because the way I was taking those Costa Brava corners, I knew my phone was not going to launch out of the window. Can’t put too much shopping in there. There is always the passenger seat for that. The glove box was big enough to store my endless amount of eyewear. 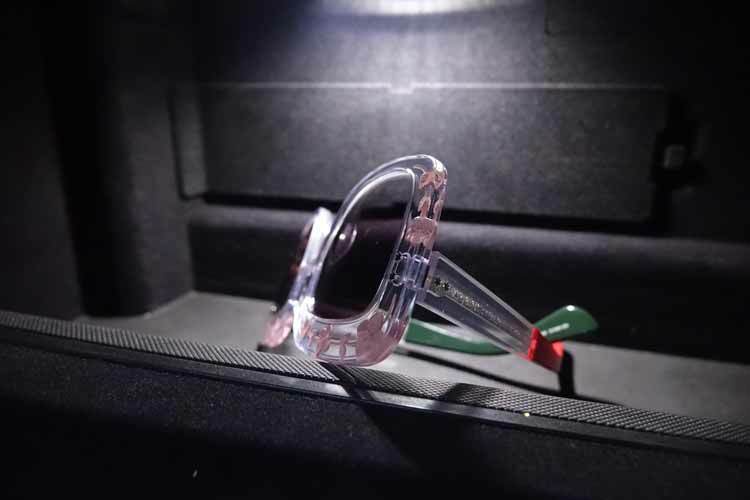 In this case these are Gucci clear pink available now. To all those single women out there, honestly if you’re looking for a new man let alone a cougar, then this is your car. 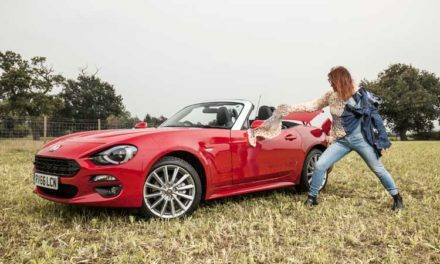 Of course I would rev the engine, because ladies in owning this car, this is what you have to do. I called this, my pick up mode. I always giggle when guys drive past and rev their engines to get my attention, well vengeance was mine. 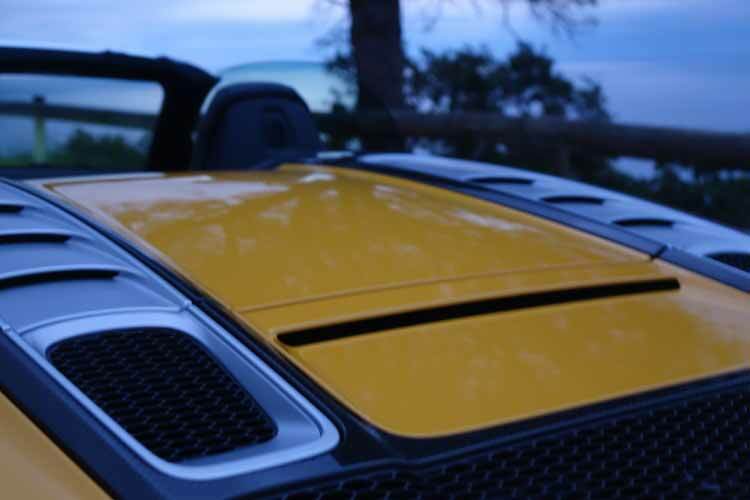 What was empowering is when I was driving the R8 Spyder, the glares the men were giving me. Surprisingly the women watching both in the city and on the open roads were well impressed with my new set of luxury wheels. 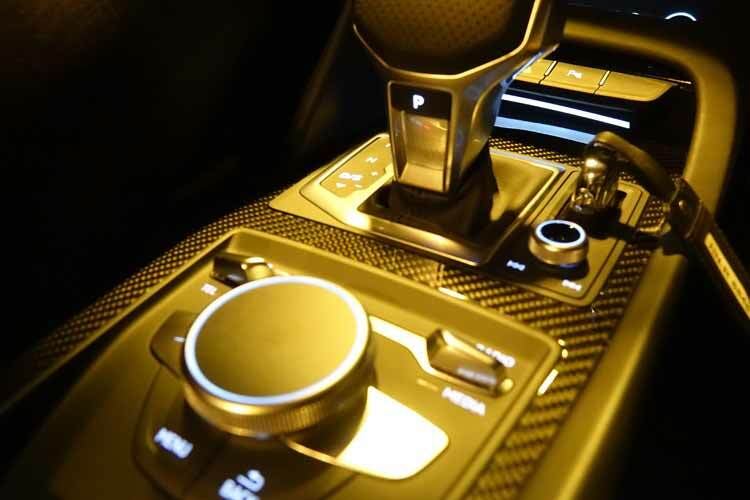 Yes the Audi R8 Spyder V10, will set you back minimum, £129,990. I am a lover of music and the Bang & Olufsen sound system pumping out a total output of 550 watts of music was fabulous. So when you see that man you are scouting for or woman if that’s what you’re into. Don’t worry when it begins to rain, just kick back with the manual option to 50 kmph and the roof top with one click will close so you don’t have to stop. 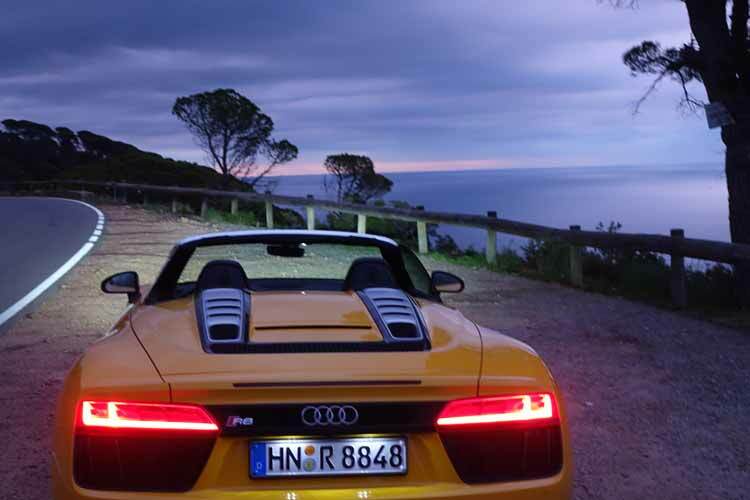 The Audi R8 Spyder was just like me, loud, full of passion and fast as hell. 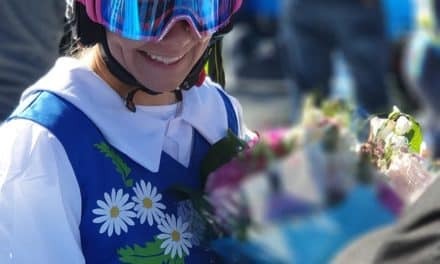 It is not a car to be driving like grandma. Make sure you bring out all your fashion collections too. This car has to be treated with German respect and therefore it was the perfect runway on wheels. 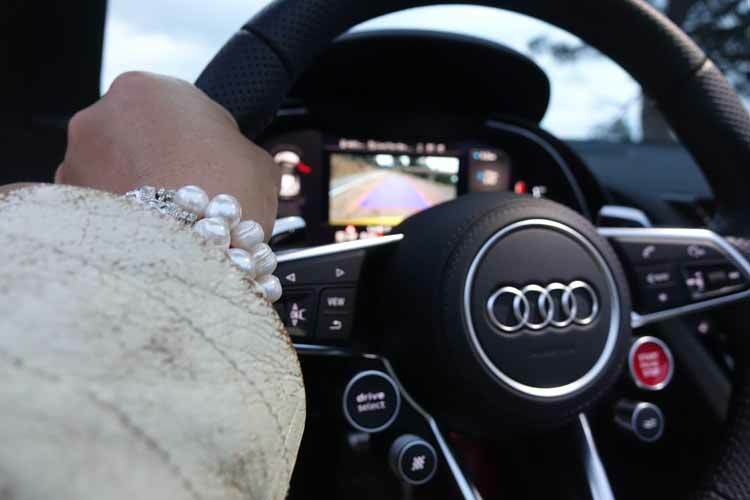 You can never over dress in the R8 Spyder, you can never be too loud. 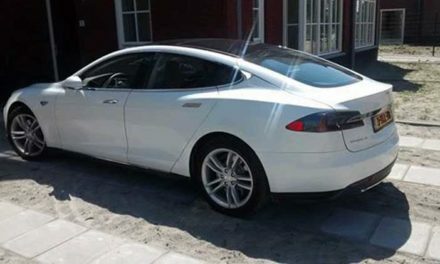 This car is all about driving, so when purchasing book in some professional driving lessons, which I will.